We've already seen some (supposed) software leaks implying that the newest iPhone will come bundled up with a biometric fingerprint sensor, but now we actually have the hardware images to back that up. 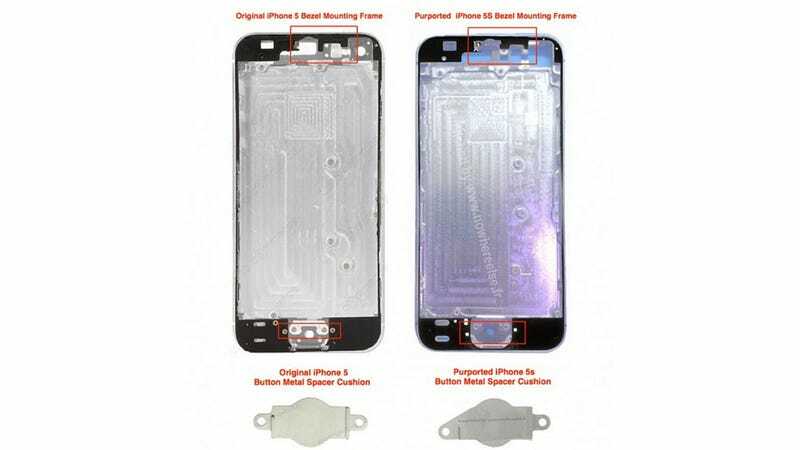 Newly leaked photos from the French blog Nowhereelse.fr show what purports to be iPhone 5S internal components—ample room for fingerprint scanner and all. In comparing the new components next to the current generation of iPhone, you can clearly see that, in the upcoming version, the metal spacer cushion next to the home button has been redesigned with an extra cutout. And extra space clearly indicates that they're getting ready to squeeze a brand new toy in.